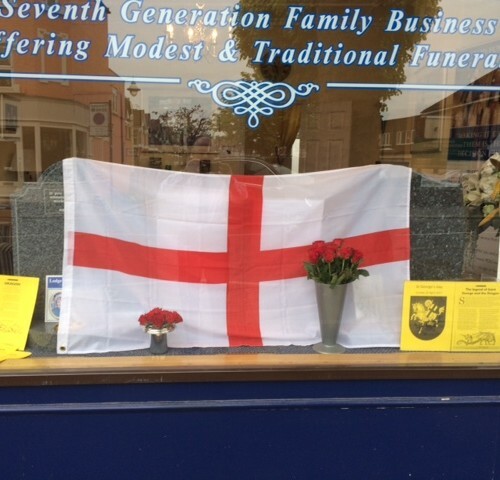 St George’s Day was recognised in Ealing early this year as the 23 April falls on a Sunday. Children who saw the Dragon poem were handed a Dragon Wordsearch and Dragon picture to colour by our new Funeral Arranger, Graham Simpson. With today being Her Majesty The Queen’s 91st birthday, it was a double celebration.